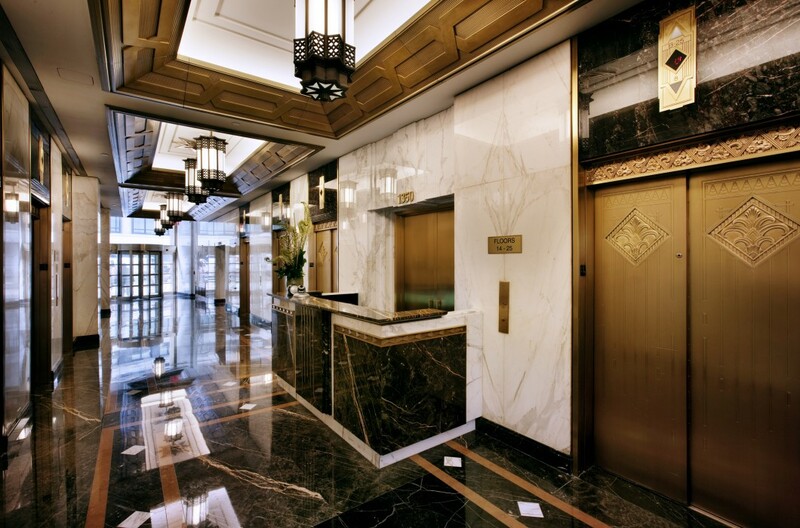 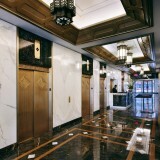 FPE Architects was retained by Malkin Properties to renovate the lobby of 1350 Broadway, known as the Herald Square Building. 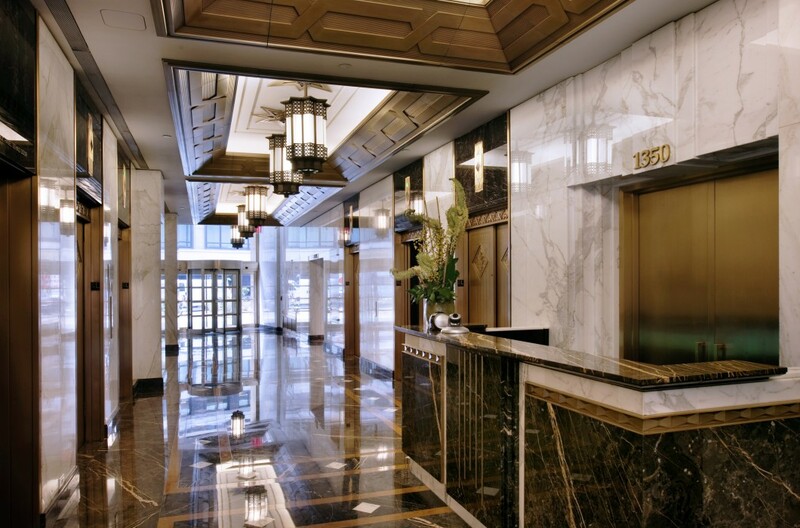 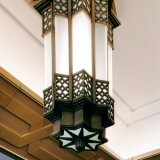 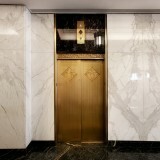 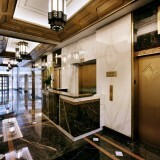 The lobby floor plan is a through building corridor with entrances on 6th Avenue as well as Broadway. 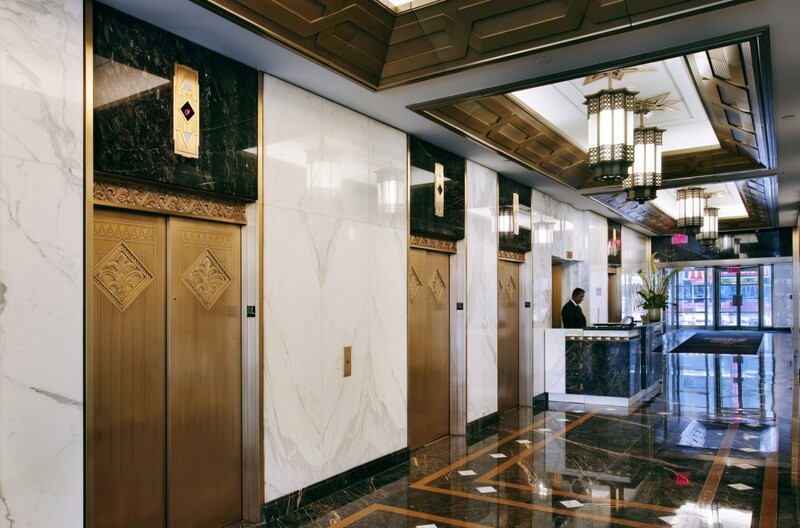 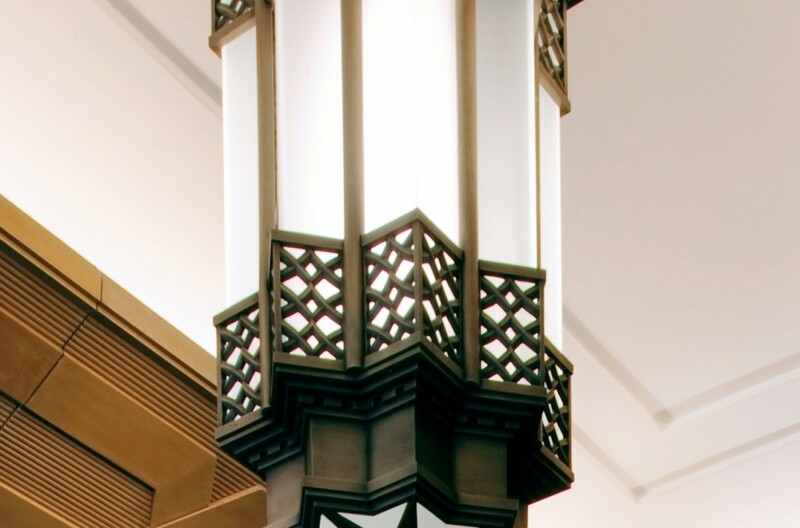 Originally designed by Clinton & Russell Architects in 1930, the lobby was unsuccessfully renovated within the past decade. 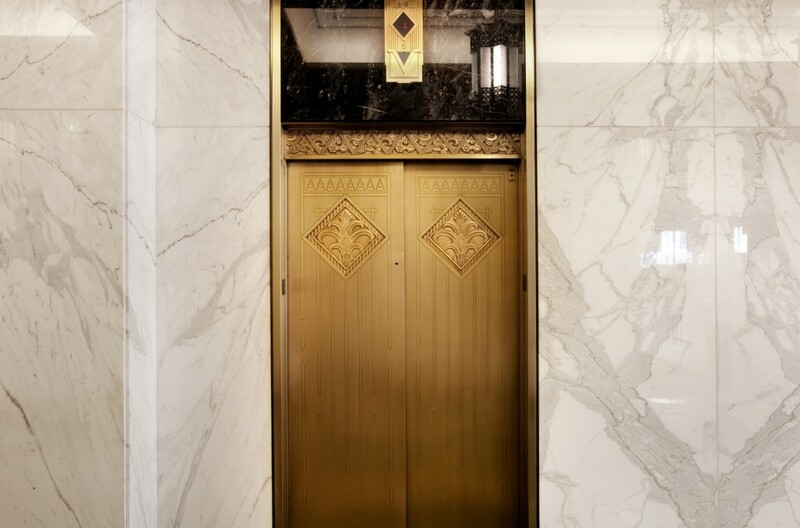 Retaining the white marble slab walls, we designed a new decorative marble floor of contrasting colors based upon original design drawings by Clinton and Russell. 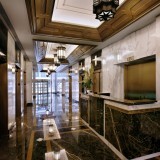 A coffered ceiling with custom metalcast moldings by Formglas and custom bronze chandeliers complement the floor pattern.